I wanted to start this thread for folks to post up carnage due to stock parts being used with heavy tires and wheels. So let’s see what you all have so others don’t make the same mistakes! Let’s start this off with one of the most common. 35’s on a stock tire carrier. Saw this at Crawling for Reid this year and had to get some pics of it. We ended up using a ratchet strap to anchor it so that the guy could get home. Couldn’t get the tire in the Jeep? No they couldn’t. They were down camping and that 2 door was packed to the brim. The strap should have held fine. No pictures of my best example, but I only got 18 months out of a set of new OE balljoints. This was running 37" Toyos, and the extra weight and load played hell with the OE joints. I didn't realize that Spicer balljoints have a plastic socket until I had "stance" (I hate stance on a Ricer, much less on my Jeep). Synergy, AlloyUSA and G2 (among others) sell all-metal balljoints, my G2s have been holding up nicely. The nylon cup in the OEM ball joints is fine for OEM applications because it's a self-lubricating material that lasts a long time with zero maintenance on a stock vehicle. 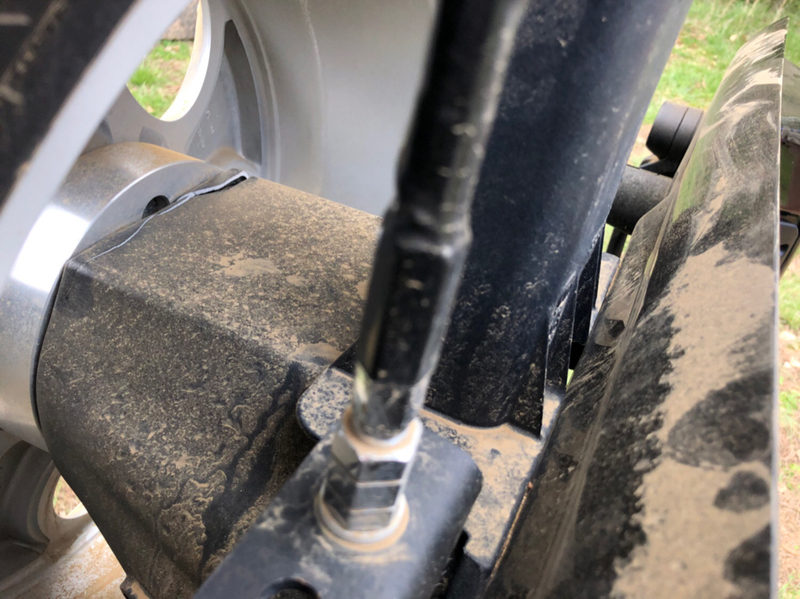 The ball joints are only intended for a vertical load, however, so running big tires spaced out from the steering axis means lots of lateral load on the parts, and the plastic obviously isn't going to hold up to that. I've been running Synergy's powder-forged ball joints since 2012 and they're still tight as a drum, but they require periodic lubing since metal isn't a self-lubricating material. It's no big deal, just something to be aware of. You are a wise man El Sanchimoto....wise man. I try to learn from others mistakes whenever possible. 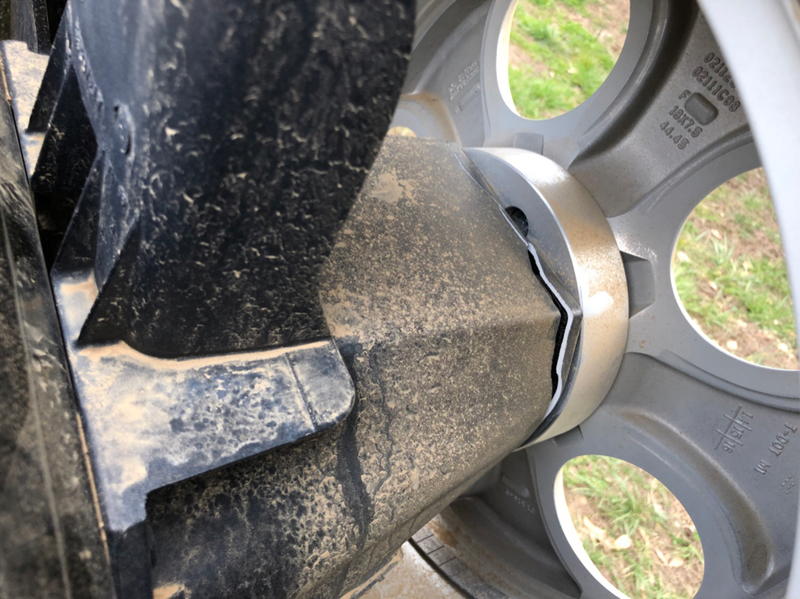 Not exactly carnage due to wheeling, but my MJ's PO was retarded and put Cherokee shocks on, which are 3 inches shorter in the rear from an MJ, and I had no down travel at all. 3-4 inch lift XJ Bilsteins fixed that issue. 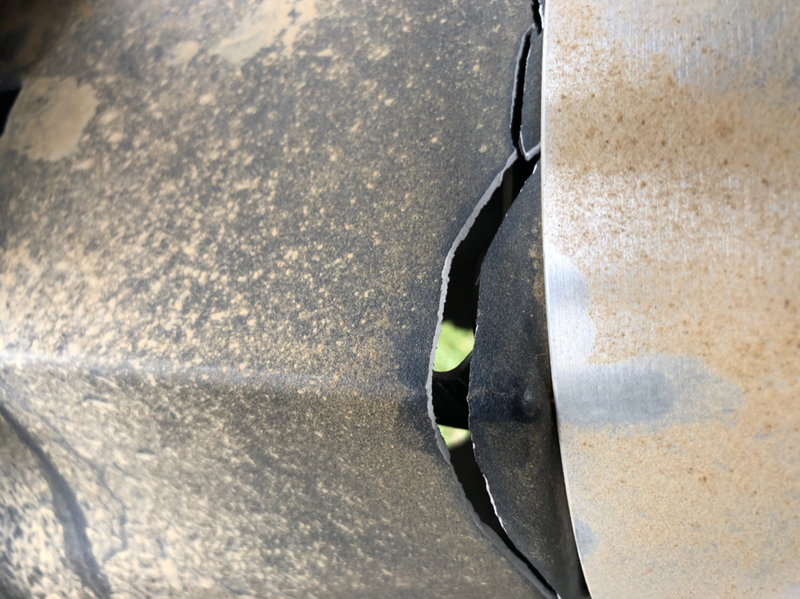 On my JK, I did bash the stock tie rod off some rocks and bent it up pretty good.